Need more information about booking Home 7038707 ? Villa Pačetina provides an escape from the fast pace of today's lifestyle. Only 45 km (33 min) drive from Zagreb, the beautiful green hills, is an ideal place to rest, in an oasis of peace and greenery of Gornja Pačetina. 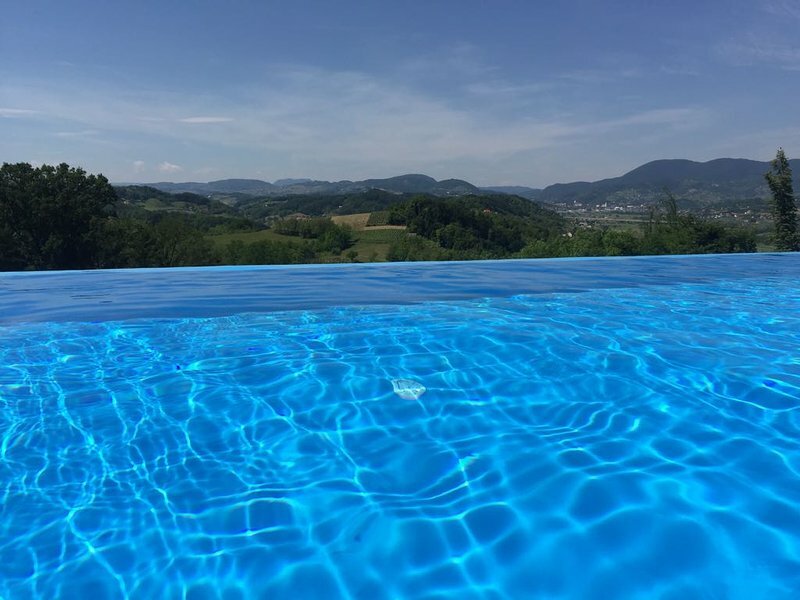 Overlooking the beautiful scenery hilly homeland Croatian Zagorje, in peace and quiet in the warm ambience of luxury villas for holiday Pačetina, you will experience unforgettable moments of relaxation and a touch of pristine nature that surrounds you.